As you read my first ever product review, I am on my way to Boston, for the New England Blogger meet up! I am very excited to meet some of the people behind the blogs that I read. Check back later in the week, or follow my Instagram, to see how it goes! 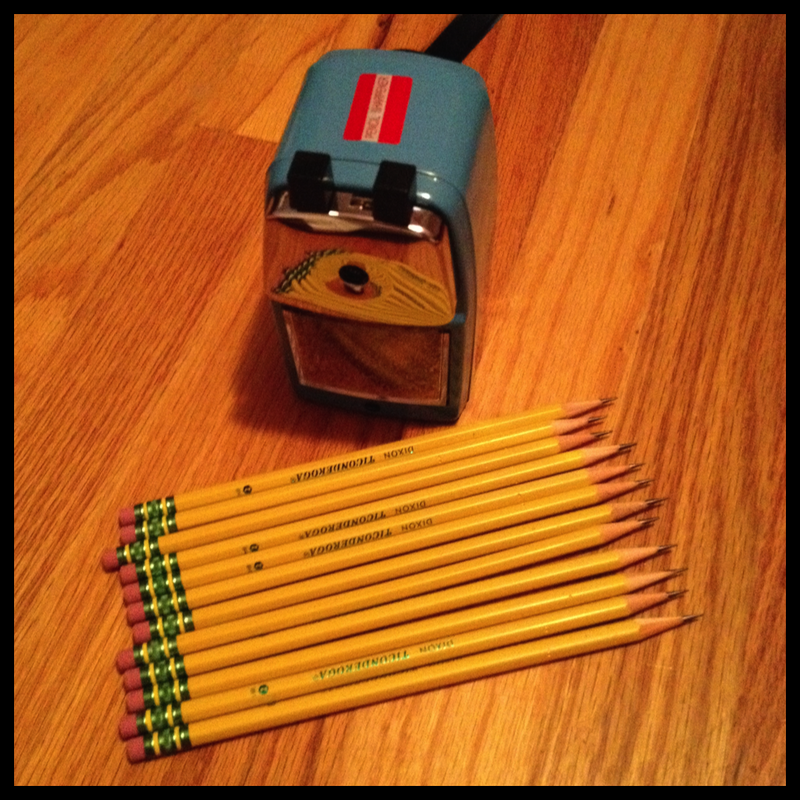 I absolutely love this pencil sharpener! I must be up front, I did receive a sharpener to "test" I also purchased one as well. I did buy one of the look a likes off of Amazon a few years ago and I must say this one is so much better. There are many things I love about this sharpener, but not everything! This sharpener leaves the best points on a pencil that I have ever seen. It is easy to sharpen with the pencil sharpener, and yes it is super quiet. In fact I have removed all of my electric pencil sharpeners from my room. We now have a communal cart with some supplies and the pencils are on top. I have all the pencils in the straw dispenser and they go in the PEZ bucket at the end of the day or when they need sharpening. This sharpener is completely kid friendly. 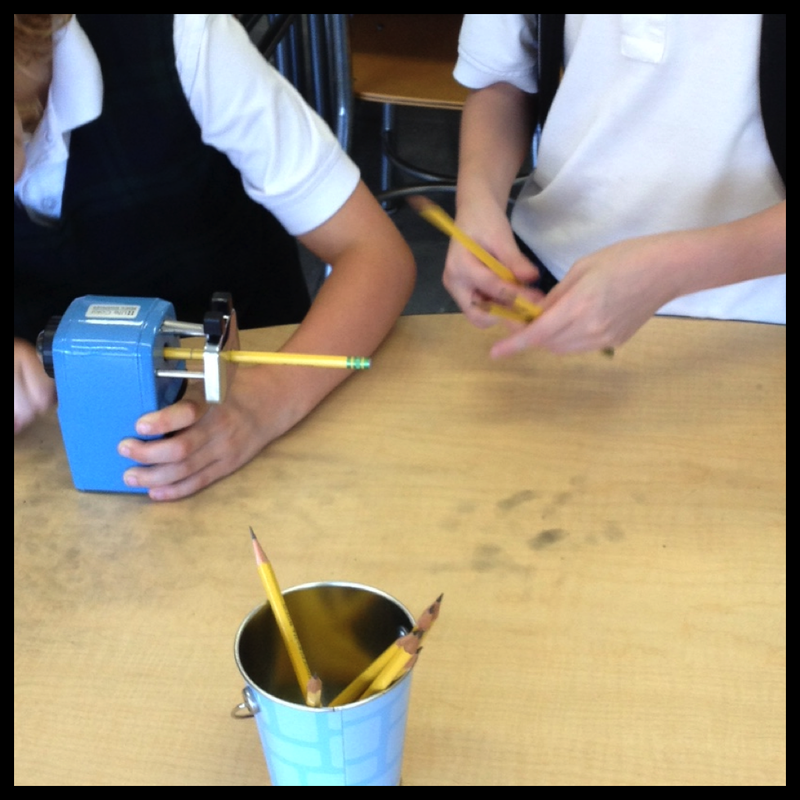 I used to allow my students to use the sharpener, but it is now just me for a couple of reasons. One is that giant black smudge that got everywhere when they did it. I get the black smudge as well but not as much. I think it may because I don't use the clamp that came with the sharpener, I am not sure. I just didn't have a good location to clamp it down. 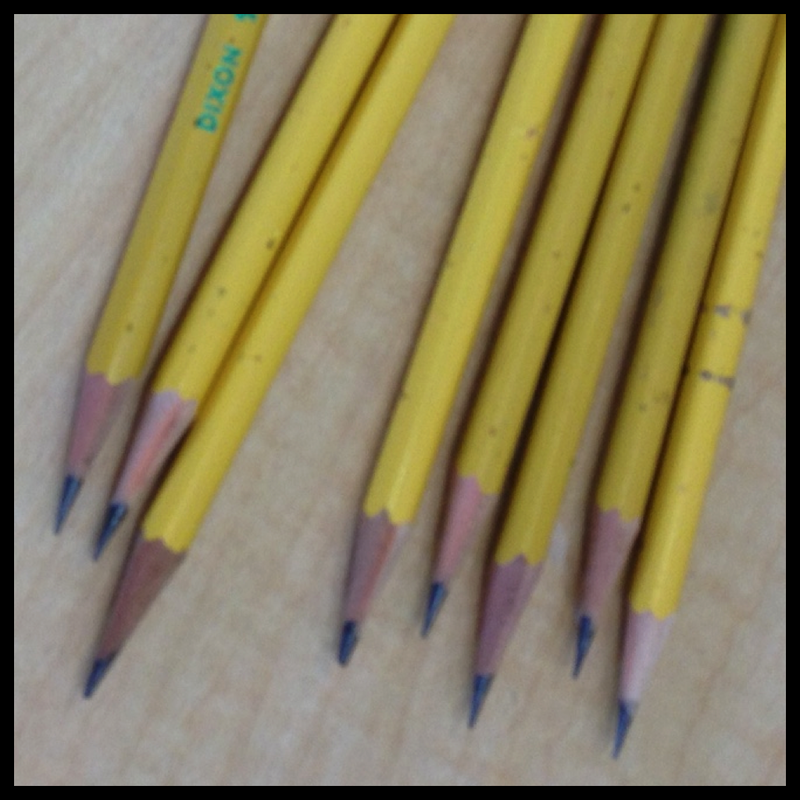 The other reason my students don't sharpen any more is because if the divots the pencil sharpener makes in the pencils. It does this because it clamps onto the pencil so it sharpens nicely. The problem was when my students tried to get the pencils in out out, they often would pull instead of using the release and it made the divots more pronounced so the paint was chipping. This was very irritating. However, since I started sharpening the divots are there but less noticeable. If you would like one please click here so I can get credit on the referral link. Thank you so much! Oh one more thing, they also have excellent customer service, and a FAQ page with video tutorials. Overall a great company to work with. I'm back! Hopefully we have calmed down enough that I can be back on a regular basis. Lets just say going from no routine, to routine was a little bit crazy this year. Most of the items in this post are from this past week, well all but my slant box because I hadn't blogged about it until now. Also check out the blog on Saturday because I have a review on The Quietest Classroom Pencil Sharpener. (One) Last Friday we had no school because of the carnival being set up. 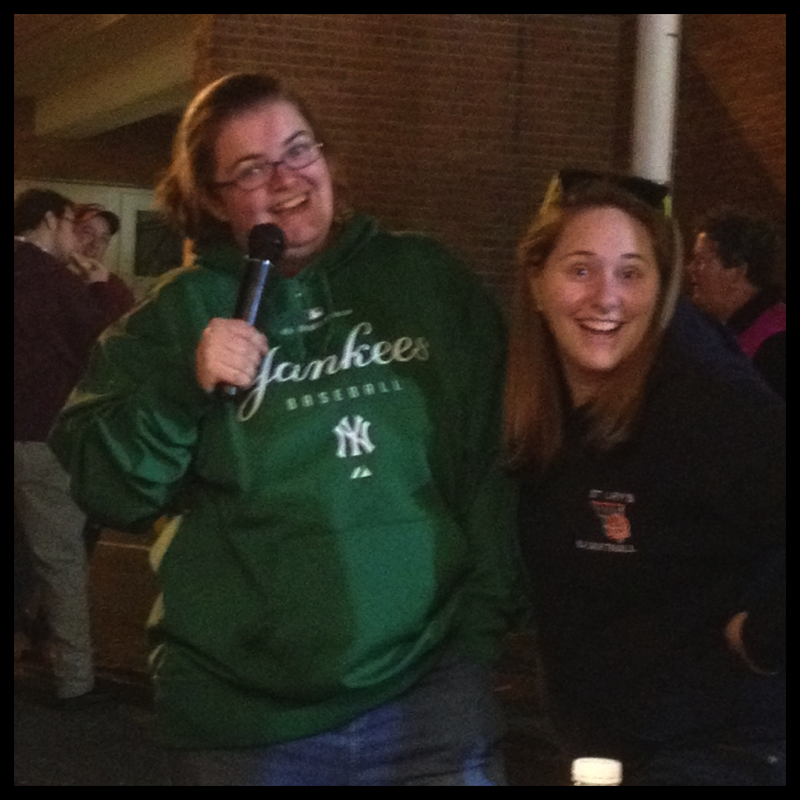 The carnival ran Friday-Sunday, so the kids had off and we had an inservice. Now they don't wait until Friday to set up and test the rides. 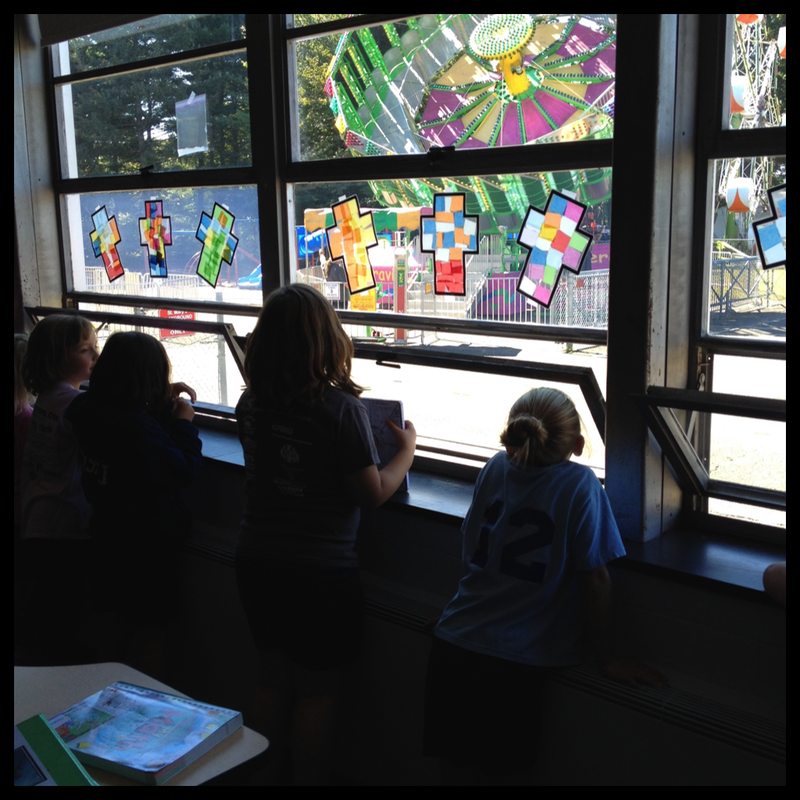 As you can see from this picture those are my students watching them test a ride right outside the classroom window. Needless to say we didn't get that much done on Thursday. I had trouble focusing with all the excitement, plus the kids were a little excited as well. (Two) Our first Scholastic book order came in this week, and I got the 10,000 bonus points! I have never had a class order enough to get the biggest bonus they offer, and this year I got well over the $300, they were around $375. 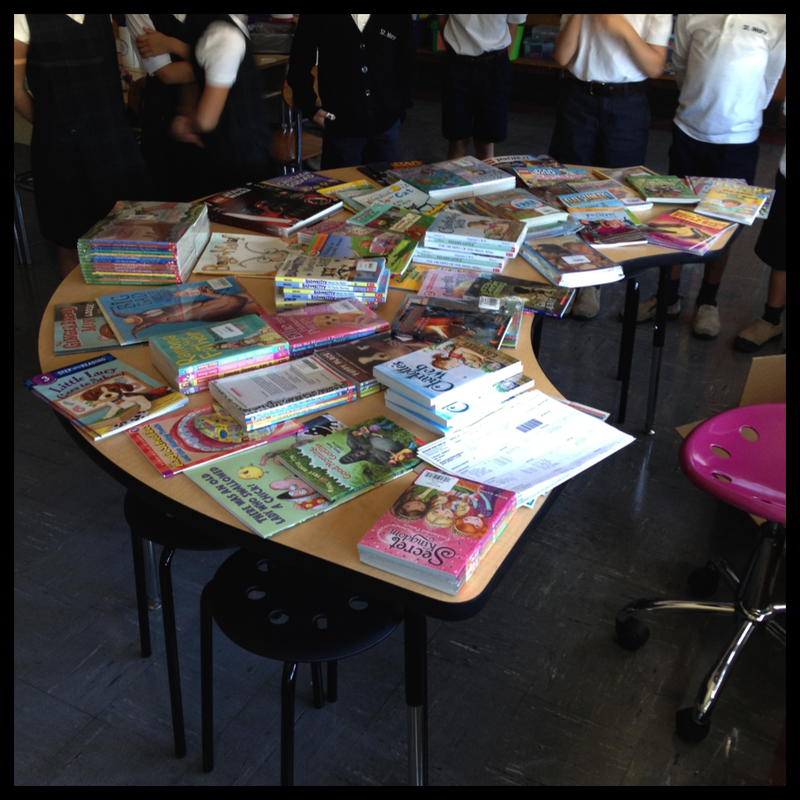 I hope they order like this all year, I am trying to get the iPods for our listen to reading time! 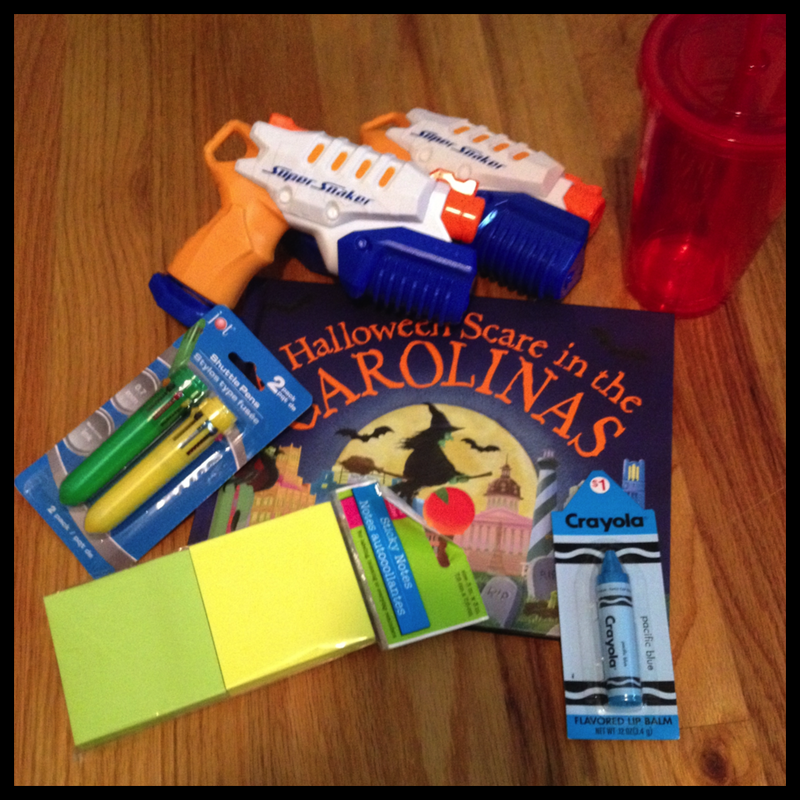 (Three) I got this lovely package from Mandee all about Carolinas, and some items of her college colors. I love participating in the slant box and "meeting" new people. I got to send a box all about Newtown to Lindsay at Thriving in Third if you have a chance check out her site she also creates blog designs. She did the design for Jameson, who organizes the slant box exchange, her site is Lessons With Coffee. (Four) I just figured this handy trick out today. 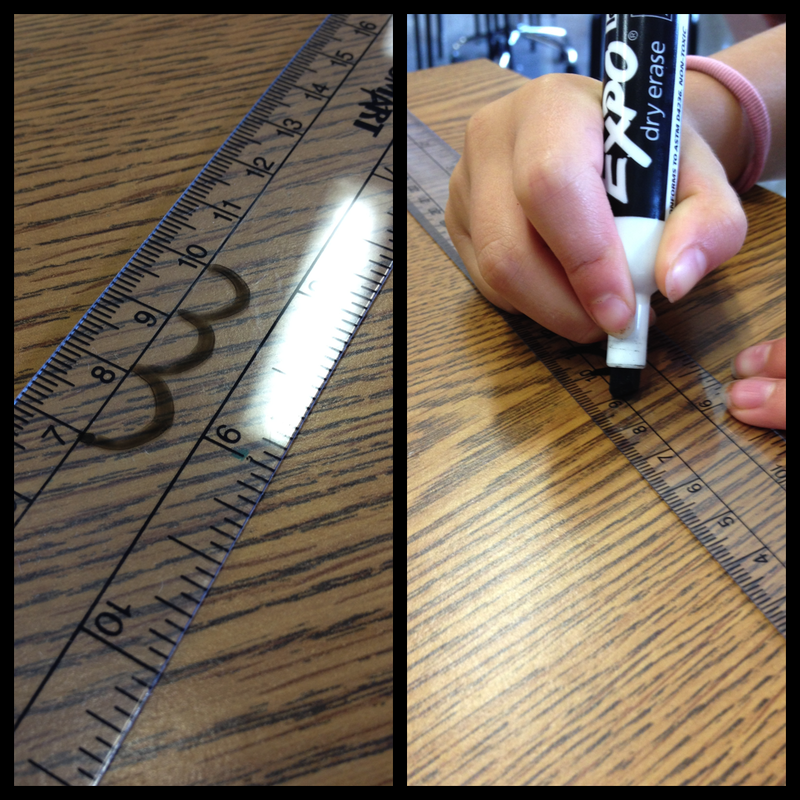 We have clear plastic rulers in my classroom and we were using them as a number line. I do not have number lines on the desk because they get picked off and gross, plus I don't want them to have them all the time. However we were learning the count back strategy and figured out we can write on the ruler and wipe it right off. I was going to copy some number lines and laminate them, but this worked so nicely! (Five) I posted this picture on my Wordless Wednesday this week and I had many of you ask about it. I was trying to color the glue so I can put it in the laminating pouches and have a stained glass look. If you scroll up to the carnival picture you can see the crosses in the window, they were done with tissue paper and the laminator. The only problem is that they fade, I was told the glue would work fine. 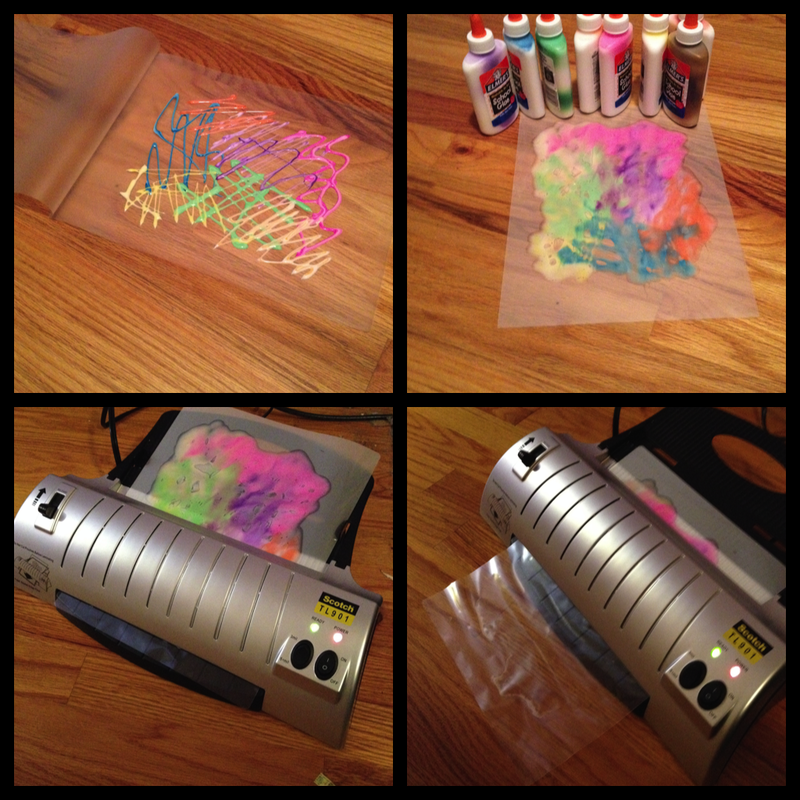 So I put the markers in the glue and spread it on the laminating pouch, not too close to the edge. I then closed the pouch (I put the glue bottles around so you can see them) I waited for it to dry a few minutes. I then placed it in the laminator. Well if you see it came out clear, and it did get all over the laminator, major FAIL. I needed to run some other paper through the laminator to get all the glue out, but it isn't broken :) I am bummed it didn't work. Does anyone have any ideas of how to get the stained glass look where it won't fade? Or any ideas as to what I can do with all the colored glue? Thats my week, it has been fun! I am excited to meet some bloggers this weekend at the New England Meet up in Boston. Visit Doodle Bugs Teaching to see how everyones week has gone! I know I haven't blogged in forever!!! 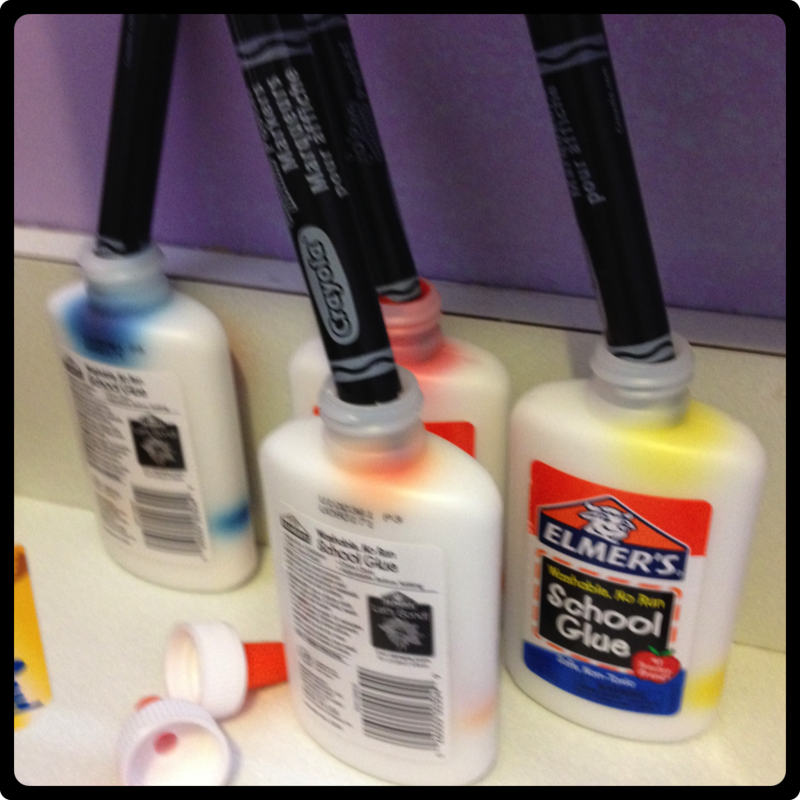 But, I had to stop by and share for a Wordless Wednesday what I am doing with markers and glue. Hopefully soon I will be able to blog on a regular basis again. Happy Labor Day everyone! 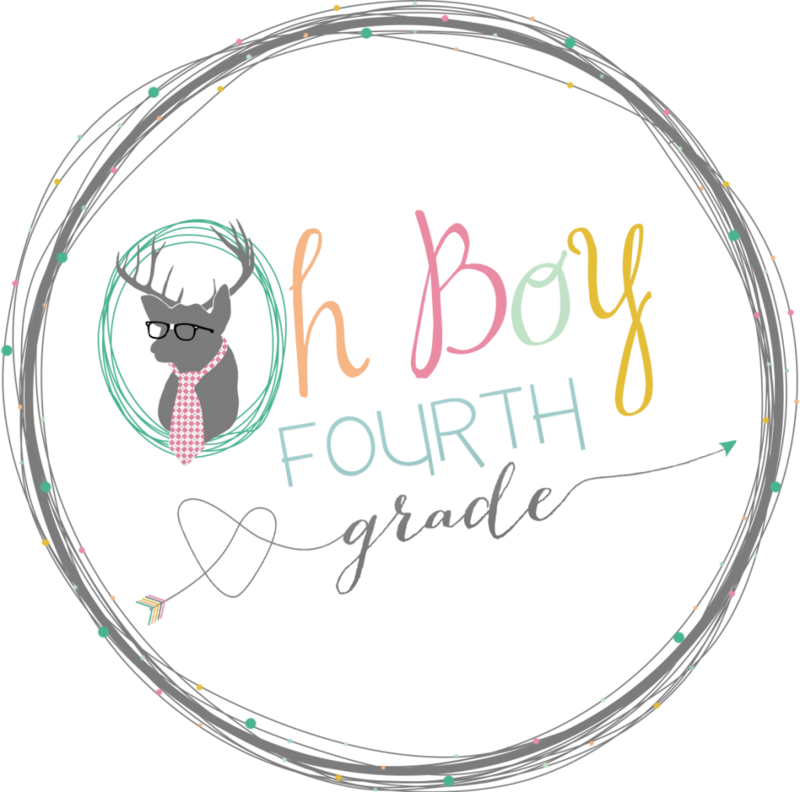 I am linking up this morning with Farley at Oh Boy 4th Grade for this months Currently. Listening: I am listening to my air conditioner, hopefully next month it can be something different! Loving: I love being at school. Don't get me wrong I do enjoy my summers off, however there is nothing like having a routine for each day. Not to mention I miss my kids, after a while. 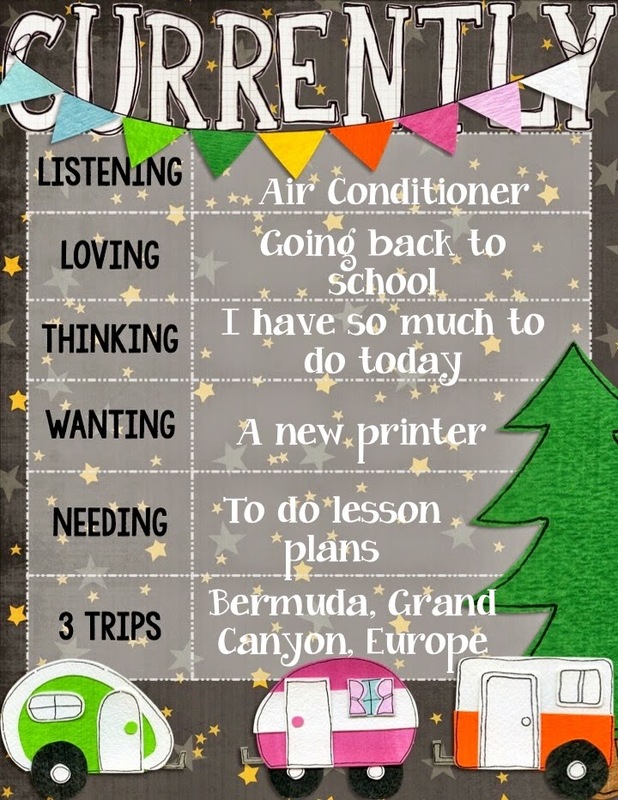 Thinking: I just finished summer vacation, how do I still have a huge to do list? I guess being out of a routine allows you to slack. Needing: I need to fix my lessons plans, most the stuff is from last week, because lets be honest, we didn't do half of it in the first 3 days of school. However we did build our stamina to 11 minutes!!! 3 Trips: My friend talks about his trips to Bermuda and how he wants to go back, I would love to go with him. I would like to see the Grand Canyon, and visit Europe. I have already visited Italy, but there is so much to see in Europe. Thanks for reading my Currently, click the picture to see the link up.